You’ve decided to take full control of your writing career by self-publishing your book. Congratulations! But along with full control comes full responsibility—and self-publishing your book is a big job. In addition to actually writing the manuscript, you’ll also be involved with content editing, proofreading, graphic and cover design, electronic file formatting, distribution management, marketing, and publicity. Don’t try to go it alone and handle all of these details yourself! 1. You’ll need proofreading skills. Whether you’re submitting work to literary agents and editors or self-publishing your book, it’s always important to have a professional-looking finished piece. And while every writer should develop the skills needed to proofread his or her work, it can be difficult to edit your own writing objectively. When you’re self-publishing, having your work thoroughly edited and proofread can mean the difference between getting great sales and great reviews…and watching your book flop because it’s filled with typos, faulty punctuation, and grammar errors. The more people who review your work, the better. If you have friends or relatives who are meticulous spellers and can spot a comma splice from a mile away, ask them to proofread your book for you. English teachers, librarians, and other writers are excellent choices! And given the investment you’re already making, seriously consider hiring a professional proofreader. 2. You’ll need formatting expertise. Formatting your manuscript for self-publishing is one of the most complicated steps in the process. Your particular self-publishing tool (such as CreateSpace) has specifications you must adhere to. And learning about headers, bleed, section breaks, and mirror margins can be daunting enough without having to also perform these tasks yourself. Hiring an expert to format your manuscript will save you countless hours of frustration. 3. You’ll need cover design savvy. 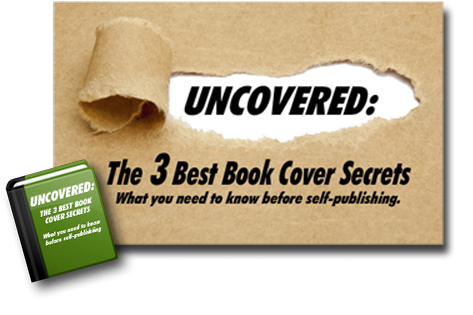 Selecting the right cover is essential to your book’s success. With a traditional publishing house, the publisher controls the cover design—and the author is left hoping the publisher’s choice will capture the book’s spirit and entice potential buyers. One of the benefits of self-publishing is that you make all the cover design decisions. But do you have the skills necessary to design a book cover that will make your book fly off the shelves? A poorly designed cover sends the message that your book is poorly written and not worth the reader’s money or time. So unless you are a designer yourself, consider purchasing a predesigned book cover or hiring a professional to custom design your all-important book cover. 4. You’ll need a marketing and publicity strategy. Traditional publishing houses used to do all the marketing and sales promotion for the books they published. Those days are over. Today’s authors, whether self-published or traditionally published, must do the lion’s share of their own marketing and promotion if they want to sell books. Your author website should be the cornerstone of your promotional efforts. Make sure it is professional, engaging, and easy to navigate. If you don’t have the technical know-how to design your own author website, Web Design Relief can help with this crucial part of your author platform. Web Design Relief’s experts understand the unique needs of writers—and the prices are more affordable than you may expect! Strategic use of social media, networking, and cross-promotion with other writers is a vital component of an effective marketing program. If you cannot put in the time required to use these tools, or if you’d rather spend your time writing your next book instead of posting and tweeting, the Writer’s Relief Virtual Assistant program can handle all of your social media updating for you. Once you decide to embark on the self-publishing journey, take some time to make a project plan. Take on the tasks you have the time, ability, and desire to do—and delegate the rest to qualified and trusted assistants. Or contact Self-Publishing Relief—we’ll do all the hard work and guide you from manuscript to beautifully finished book. QUESTION: What self-publishing tasks do you think you’d need the most help with? I have stuff published on Amazon but I don’t do any promoting, myself – Google ‘P J Searle Amazon’ you’ll see. But I need to generate more interest. it is really beneficial for young writer to encourage their potential. Absolutely. Independent publishing is NOT a DIY enterprise. That`s why there are freelancers expert in every aspect of the publishing journey and companies like BookGarage https://www.bookgarage.com that vet and hand-pick those expertise to allow authors experience a successful independent publishing journey. Yes, I totally agree that I shouldn’t go it alone in self-publishing but what would this all cost? I can only say thank you for this information. It is useful. You will see that the base price for self-publishing a book in both a print version and an electronic version is $799. Add-ons such as proofreading, custom cover design, ISBNs are additional.